As you can see above, the 802.11b type wireless network connection is the one known as WiFi. We usually use certain words loosely. For many of us, 802.11 is WiFi. :) Ok. Let's take a look at the next generation of wireless connection. As the next evolutionary step of its WiFi predecessor, WiMAX is being touted as an easily deployable “third pipe” that will deliver both flexible and affordable last-mile broadband access to millions. Many believe that WiMAX will do for broadband access what cellular phones did for telephones: connect users directly to the Internet from anywhere within a major metropolitan area. 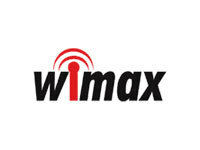 WiMAX, short for Worldwide Interoperability for Microwave Access, is a wireless standard developed by a working group of the Institute of Electrical and Electronics Engineers (IEEE). The standards developed by the IEEE form the foundation for nearly all data communication systems and apply to coaxial, copper and fiber optic cables. The IEEE sought to establish a more robust broadband wireless access (BWA) technology through its 802.16/WiMAX standard. It released its first 802.16 standard in December 2001 which addressed systems operating between 10 GHz and 66 GHz. IEEE 802.16 addresses the "first-mile/last-mile" connection in wireless metropolitan area networks. It focuses on the efficient use of bandwidth between 10 and 66 GHz (the 2 to 11 GHz region with PMP and optional Mesh topologies by the end of 2002) and defines a medium access control (MAC) layer that supports multiple physical layer specifications customized for the frequency band of use. WiMAX is a wireless metropolitan area network (MAN) technology that can connect IEEE 802.11 (Wi-Fi) hotspots with each other and to other parts of the Internet and provide a wireless alternative to cable and DSL for last mile (last km) broadband access. IEEE 802.16 provides up to 50 km (31 miles) of linear service area range and allows connectivity between users without a direct line of sight. Note that this should not be taken to mean that users 50 km (31 miles) away without line of sight will have connectivity. Practical limits from real world tests seem to be around "3 to 5 miles" (5 to 8 kilometers). The technology has been claimed to provide shared data rates up to 70 Mbit/s, which, according to WiMAX proponents, is enough bandwidth to simultaneously support more than 60 businesses with T1-type connectivity and well over a thousand homes at 1Mbit/s DSL-level connectivity. Real world tests, however, show practical maximum data rates between 500kbit/s and 2 Mbit/s, depending on conditions at a given site. In my country, a company named AirZed is the pioneer in this new territory. According to Paul Tan, as of June 2005, AirZed’s WiMAX service covers Mid Valley, Damansara, Petaling Jaya and Shah Alam. I don't know which area they have covered lately but for people in Kuala Lumpur and nearby, they don't have to worry because "all the latest and greatest technology will reach you sooner before others" :P. Prices start at RM188 a month for the Home package which offers 1Mbps download and 128kbps upload with a dynamic IP. The SOHO package is RM288 a month and it offers 1Mbps download and 384kbps upload, but with dynamic IP as well. The Business package is RM468 a month offering 1Mbps download and 512kbps upload. It also comes with a fixed IP and 6 free Airzed Wi-fi Hotspot accounts. As usual, once pioneer has started, others will follow sooner or later. Other companies especially big ISPs are eyeing this new technology.